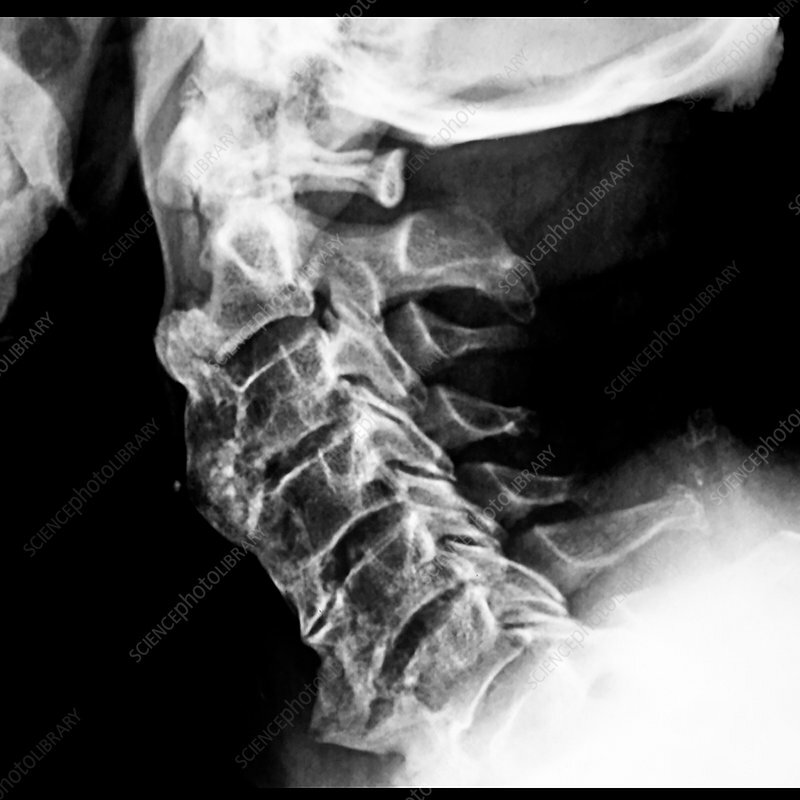 This lateral x-ray of the cervical spine (neck) with the patients neck in extension shows the typical appearance of advanced Diffuse Idiopathic Skeletal Hyperostosis (DISH). It is characterized by very large anterior bridging osteophytes. This causes neck pain and decreased range of motion.